The Association for Rescue at Sea will hold its annual awards ceremony and reception on Thursday. The event will take place on Capitol Hill in Washington, D.C. 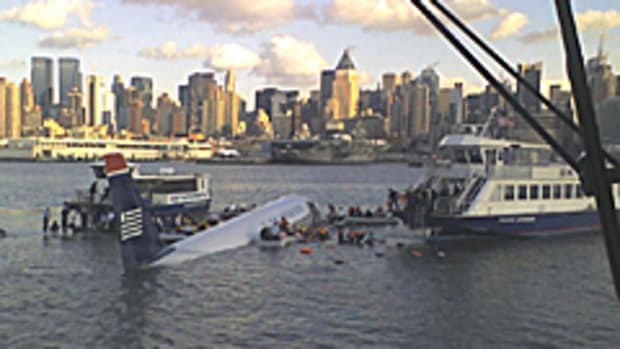 The association will award the gold medal and the Amver (Automated Mutual-Assistance Vessel Rescue System) plaque for outstanding rescues made in 2010. Chief Aviation Survival Technician Kurt G. Peterson of US Coast Guard Air Station New Orleans will receive the prestigious gold medal for his heroic life-saving actions on the night of April 20, 2010, responding to a rig explosion on board the Deepwater Horizon Mobile Offshore Drilling Unit located approximately 100 nautical miles south of Air Station New Orleans. First on the scene, Peterson and the crew of CG6605 maneuvered below a 600-foot tower of flames, searching the base of the oil-rig for possible survivors. After the initial search resulted in no survivors, the crew hoisted Peterson to the supply vessel to provide a survey of the injured survivors. While trying to avoid flying debris from secondary explosions, Peterson made his way across the oil-slicked deck and teamed up with two civilian medical technicians already on board to triage the survivors. For four hours, Peterson led a team of civilian medical technicians and rescue swimmers to prioritize injured victims, give aid and coordinate transportation for 17 survivors, ultimately saving their lives.